Nokia India has hinted that their flagship smartphone Lumia 920 will be making its way to India soon. According to the latest info that we have, Nokia Lumia 920 and Lumia 820 will apparently hit the Indian market on January 15, 2013. Finally people who have been waiting for the most advanced smartphone from Nokia will be happy to hear this news. Releasing a TV ad commercial which says "Get Ready to Switch" and "Coming Soon" at the end indicates at the official launch of the smartphone in India. Nokia Lumia 920 is a powerful device which runs the latest Microsoft Windows Phone 8 operating system. 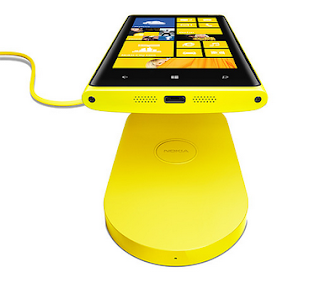 One of the many features of Lumia 920 which has gathered quite some news is the Wireless Charging feature, that enables you to charge the phone by just placing it on the top of a charging pad. You can watch the full ad commercial below.